I love corsets, I love writing, and I love education. 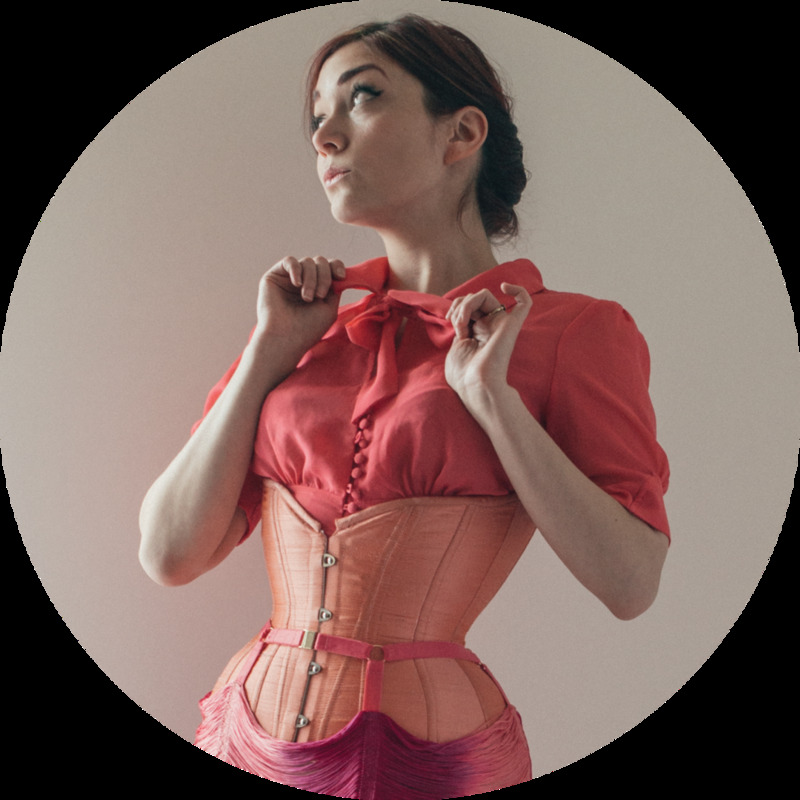 That's why I started The Daily Waist – it's a space where I have the freedom and flexibility to write about corsets, answering the questions I continually see asked... or sadly left unasked! This blog is a passion project, but with your help, it could be more. Check out my Patreon page and if you've ever found my articles helpful, please support me! Patronage starts at $1/month – if that's beyond your means, please share the link. Everything helps and I appreciate it all! There's a free post on my Patreon now explaining what goes into a blog post. It may only take you a few minutes or so to read each post, but they take much longer to put together! Making corsets is my day job, but I love that here I get to write for everyone, even those I'll never make a corset for. If you back me on Patreon, The Daily Waist will become an income source just like corsetmaking. I'll have a continual stream of new content for you. And perhaps best of all, you'll have a direct opportunity to influence what that content is. I have big plans for where I want to take The Daily Waist – but I need your help to get there. Please back and/or share my Patreon profile. Thank you! Why Do People Buy Handmade Corsets? The Daily Waist is a weekly-ish lingerie blog celebrating corset wearing daily. Corsetrix Marianne Faulkner is known for her corset line Pop Antique, involvement in the Oxford Conference of Corsetry, and previous column at The Lingerie Addict. Like the blog? Access exclusive behind the scenes and bonus content with Patreon. Sign up to receive the monthly revue via email. Or you can follow TDW with Bloglovin'.